Reference: David Moberg, ‘How Edison Survived’, The Nation, 15 March, 2004, p. 22. In the early 1990s media entrepreneur Chris Whittle became the darling of the free-market, antigovernment right by promising that private, for-profit businesses could manage schools better than public boards of education. His Edison Schools, he claimed, would grow into a corporate giant by educating children better and more cheaply than public schools. Reference: David Moberg, ‘How Edison Survived’, The Nation, 15 March, 2004, p. 22; Nelson D. Schwartz, ‘The Nine Lives of Chris Whittle’, Fortune, 27 October, 2003. Chris Whittle’s dream of creating hundreds of private, for-profit schools attracted the support of republican governors such as George W. Bush, when he was governor of Texas. Whittle, a magazine publisher who had introduced Channel One into schools, established the Edison project in 1992. Investors such as J.P. Morgan and Paul Allen, co-founder of Microsoft, invested tens of millions. Reference: Brian O'Reilly, ‘Why Edison Doesn't Work’, Fortune, 9 December, 2002. "Venture capitalists and investors became enchanted with the idea, too, lured by presentations from Merrill Lynch, an early Whittle backer, that spoke of an inefficient secondary-education industry that spent $1 billion a day, only half – half! – of which was spent directly on education. The rest, it was implied, was pork and featherbedding easily trimmed by sharp-eyed, reform-minded businesspeople." Initially Edison managed public schools under contract to school districts but in 1997 it began establishing charter schools. Reference: ‘Public Schools Inc,: Inside Edison's Schools’, Frontline, PBS, 3 July, 2003. Whittle (pictured) believed that, because school bureaucracies were wasteful and inefficient, Edison could run schools for less money than school districts, even with a profit margin, and do a better job of it. This was because, as a private company, Edison would be subject to market disciplines and so be more efficient. Investors believed him. After Edison went public in 1999, the value of its shares doubled in two years. As it turned out Edison was unable to make a profit from running schools and in many cases its schools offered an inferior education at a higher cost. Reference: ‘Public Schools Inc,: Inside Edison's Schools’, Frontline, PBS, 3 July, 2003; David Moberg, ‘How Edison Survived’, The Nation, 15 March, 2004, pp. 22-3. Whittle had hoped that Edison could save money partly through economies of scale and planned to open over a thousand schools. In an effort to reach this goal Edison opened up many new schools each year. However the more schools it opened the more money it had to spend establishing and equipping them. Moreover administrative and marketing costs were expensive – the lawyers and accountants to deal with contracts; the managers to oversee the network of schools; and the marketing executives. Reference: Chuck Sudetic, ‘Reading, Writing, and Revenue’, Mother Jones, May/June, 2001; New York Times quoted in Kenneth Saltman, The Edison Schools: Corporate Schooling and the Assault on Public Education, New York, NY, Routledge, 2005, p. 50. In order to win charter and school management contracts Edison produced glossy handouts, canvassed door-to-door, and promised parents free computers for their children. It “established a marketing, media and government relations operation that is far more sophisticated and aggressive than those of many corporations, let alone most school systems.” It presented school districts with “a high-pressure, slick sales pitch”. Reference: Barbara Miner, ‘For-Profits Target Education’, in Alfie Kohn and Patrick Shannon (eds) Education, Inc. Turning Learning into a Business, revised ed. Portsmouth, NH, Heinemann, 2002, p. 136. In San Francisco, where its schools were the worst performing in the city, Edison hired Digital Campaigns, a public relations company, to boost parental support for its schools. Reference: David Moberg, ‘How Edison Survived’, The Nation, 15 March, 2004, p. 22; Tali Woodward, ‘Edison's Failing Grade’, CorpWatch, 20 June, 2002; Chuck Sudetic, ‘Reading, Writing, and Revenue’, Mother Jones, May/June, 2001. In 2002, Edison stock fell from $37 to 14c as a result of various scandals about the performance of its schools (more details later in this chapter), and its failure to make a profit. It was facing several class actions by investors who claimed the company had misreported its revenues. Several of its schools had discipline problems, poor test performance, and declining student numbers. Reference: Quoted in Kenneth Saltman, The Edison Schools: Corporate Schooling and the Assault on Public Education, New York, NY, Routledge, 2005, p. 74. Some schools were accused of cheating on test results. The Wichita Eagle interviewed seven former Edison teachers and reported that four of them claimed that Edison had required them “to do whatever it took to make sure students succeeded on standardised tests, including ignoring time limits, reading questions from a comprehension test aloud and in some cases correcting answers during a test”. Reference: Kenneth Saltman, The Edison Schools: Corporate Schooling and the Assault on Public Education, New York, NY, Routledge, 2005, pp. 54-5; David Moberg, ‘How Edison Survived’, The Nation, 15 March, 2004, p. 22; Chuck Sudetic, ‘Reading, Writing, and Revenue’, Mother Jones, May/June, 2001. Although the media and business leaders hailed Edison as an example of how the market can provide quality schools for children in poor neighbourhoods, Edison relied on corporate and foundation philanthropy. By 2002, despite philanthropic donations, Edison was in debt to the tune of over $330 million. Edison had lost $354 million in 12 years and one in four of its contracts had been terminated because they were too costly for school districts, unprofitable for Edison, or because of poor student performance. Reference: Quoted in Kenneth Saltman, The Edison Schools: Corporate Schooling and the Assault on Public Education, New York, NY, Routledge, 2005, p. 29. Under pressure to show it could be profitable, Whittle proposed that Edison schools could save money by using students to do some of the administrative work of schools “commenting that 600 pupils working one hour a day was the equivalent of 75 full-time adult staff”. Not surprisingly, parents were outraged, pointing out that this was “the equivalent of child labor”, particularly since most Edison’s students were elementary-aged. Reference: David Moberg, ‘How Edison Survived’, The Nation, 15 March, 2004, p. 22; Kenneth Saltman, The Edison Schools: Corporate Schooling and the Assault on Public Education, New York, NY, Routledge, 2005, p. 65. Reference: Kenneth Saltman, The Edison Schools: Corporate Schooling and the Assault on Public Education, New York, NY, Routledge, 2005, pp. 2, 40; ‘Edison Schools' False Numbers Obscure Contract Losses’, San Francisco, Parents Advocating School Accountability, 30 June 2005 . In 2003 Edison was the largest company to be managing schools with 136 public schools in 23 states covering over 130,000 students. During the first half of 2005 it lost seven of its 41 school management contracts, making a total of 25 contracts lost out of 59 over its 13 year history. Edison had only managed to retain 42 percent of its school management contracts. Edison contracts were “revoked because of such problems as low test scores, high teacher turnover rates, and disputes over the leadership of and accountability of the company”. Reference: ‘Edison Schools’, Edison Schools, 2007; Alex Molnar, et al., ‘Profiles of for-Profit Education Management Organizations: Eighth Annual Report 2005-2006’, Tempe, AZ, Education Policy Studies Laboratory, Arizona State University, May 2006, pp. 7, 29; Brian O'Reilly, ‘Why Edison Doesn't Work’, Fortune, 9 December, 2002. By 2006 Edison was managing 97 schools in 19 states and the District of Columbia, and around 60,000 students. Less than half these schools were charter schools. The rest were management contracts with school districts. Most were in poor neighbourhoods with mainly African American or Latino students. Middle-class school districts are generally happy with their schools and didn’t want to turn them over to a profit-making concern. It was only the desperate, badly resourced, poorly performing schools in poor urban areas who were willing to give Edison a go. Reference: Alex Molnar, et al., Profiles of for-Profit Education Management Organizations: Ninth Annual Report 2006-2007, Tempe, AZ, Education Policy Studies Laboratory, Arizona State University, May 2007, p. 13; ‘Edison Schools’, Edison Schools, 2007. Edison is still today one of the largest Education Management Organizations (EMOs) in the US, despite not attaining Whittle’s goal of over a thousand for-profit schools. Edison’s involvement in schools includes alliances, partnerships and charter schools. Partnerships involve Edison managing schools in partnership with school districts under a performance contract. In an alliance, the school district manages the schools but Edison provides a customised program and onsite support. Alliances were formed in response to NCLB requirements for schools to show that they are putting in place strategies to raise student performance. Edison also runs summer and after-school programs and offers consultation services for schools on how to improve student achievement. Edison has expanded into the UK market with its consultation services and customised program. Reference: Quoted in ‘Other Sponsors’, National Union of Teachers (NUT), December 2010, p. 2. Reference: ‘Edison Schools’, Edison Schools, 2007; ‘US Firm to Manage UK State School’, BBC News, 23 April, 2007. It has partnered with 50 government-funded schools in the UK to provide training and consultancy services and won a £900,000 contract to provide the senior management for a government school in North London, including the head teacher. 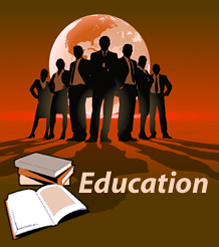 EdisonLearning claims to have supported the start-up of some 17 academies. Reference: Jenny Anderson, ‘The Best School $75 Million Can Buy’, New York Times, 8 July 2011. Chris Whittle is now CEO of Avenues: The World School, a group of "20 or more" high-fee ($40,000 per year) for-profit private schools to be located around the world, starting in New York in 2012, catering to students from pre-school to secondary school.